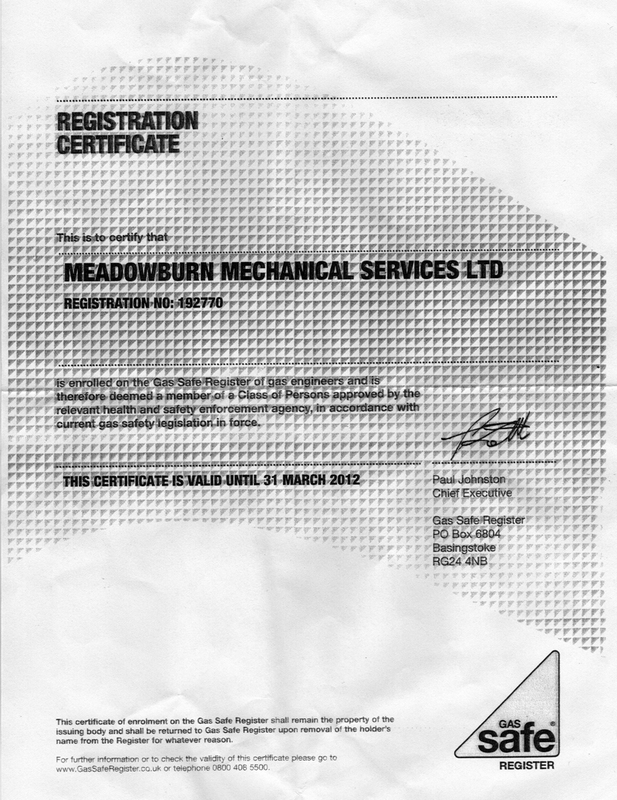 Meadowburn Mechanical Services Ltd is enrolled on the Gas Safe Register of Gas Installers. Gas Safe (the Council for Registered Gas Installers) is the National Watchdog for Gas Safety in the United Kingdom. Their mission is to promote and enhance gas safety, standards and quality in a professional and ethical manner. Gas Safe maintain an up-to-date register of competent and qualified gas installation businesses and ensure that they and their operatives are aware of their requirement to register. They also raise the awareness of gas safety with consumers and encourage them to only employ registered gas installers.